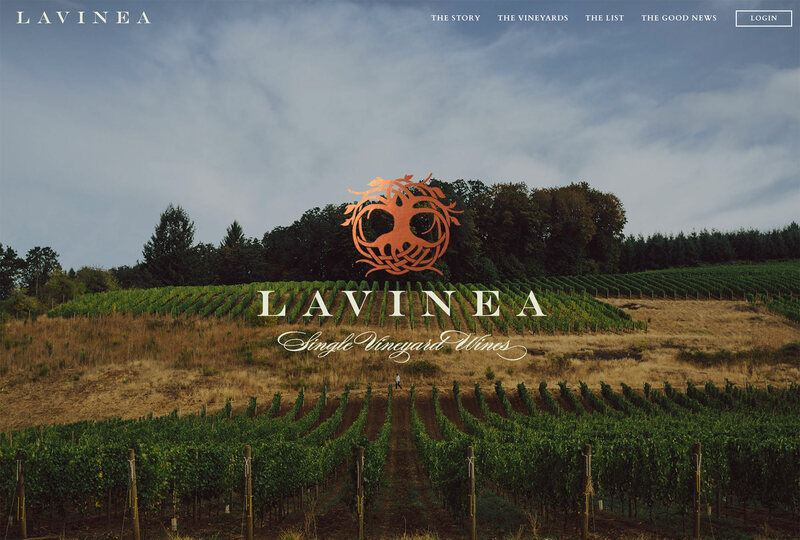 Lavinea is an Oregon wine project from esteemed winemaker Isabelle Meunier and wine industry veteran Greg Ralston, whose sole focus is creating expressive single-vineyard wines from Oregon’s most iconic vineyards. 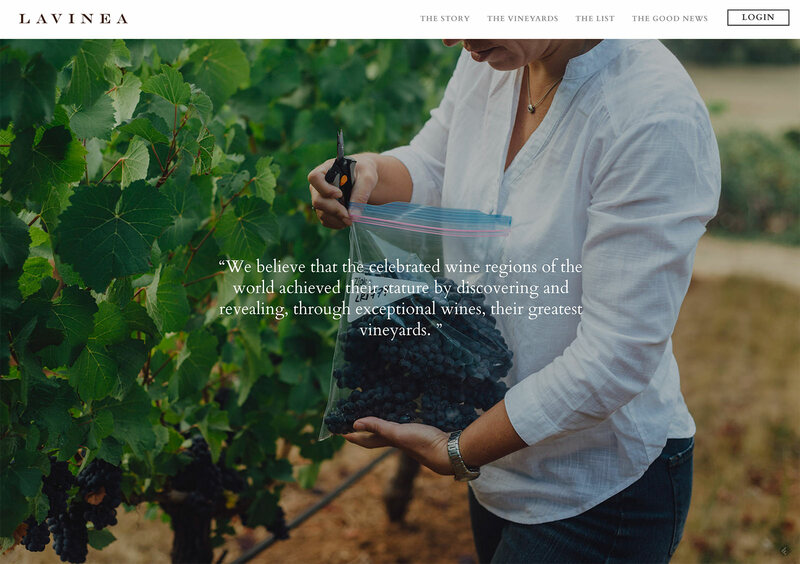 We worked with Lavinea to develop a website that deeply educates the viewer on each of the source vineyards. 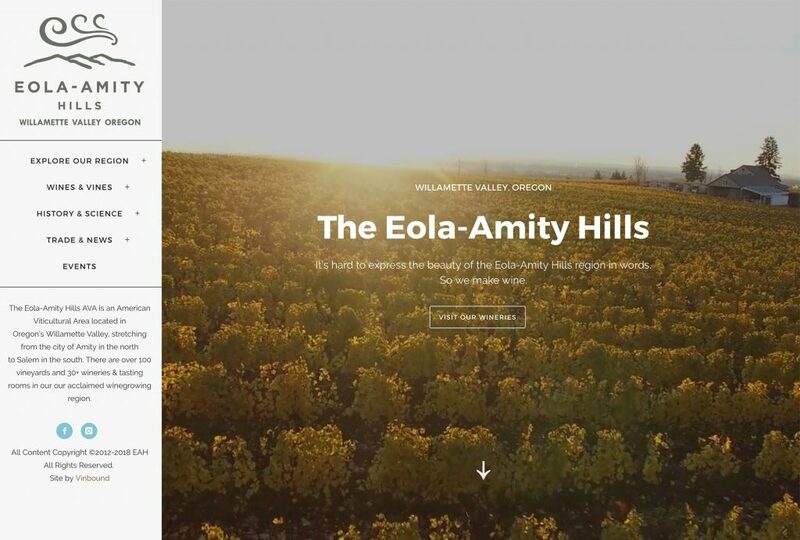 Full-screen, aerial photography is used throughout the website. 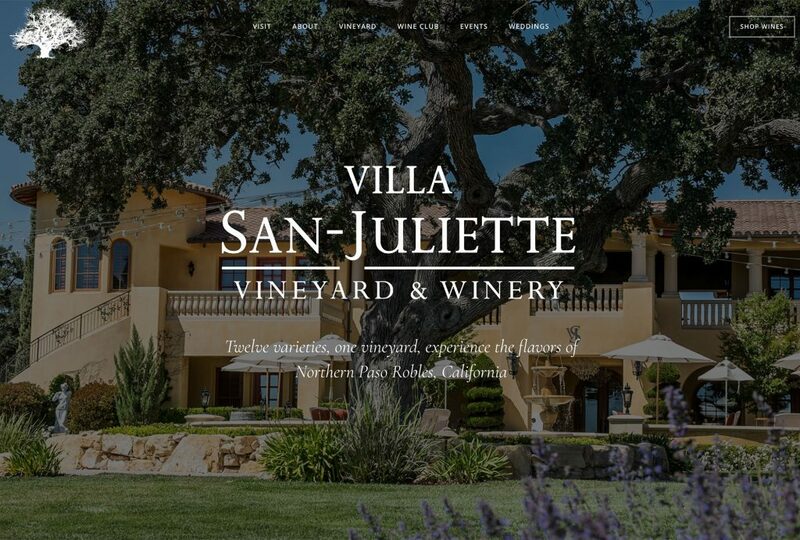 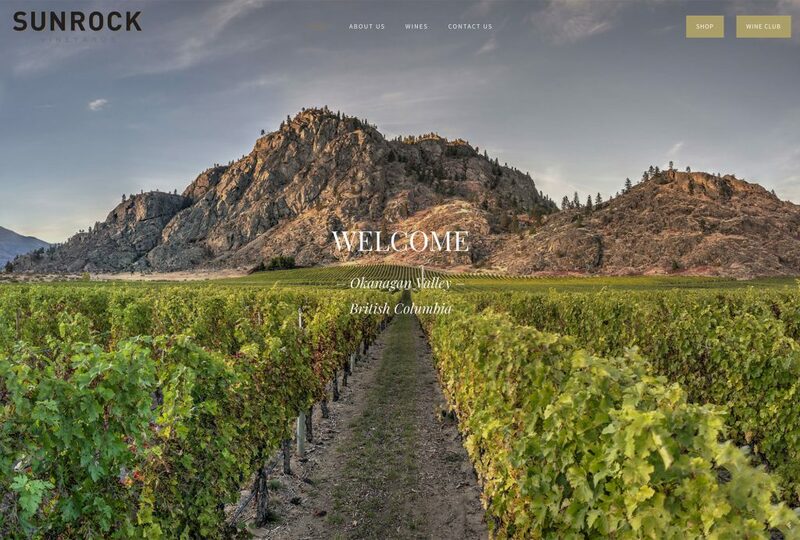 The vineyard profile pages include interactive maps, extensive technical information, and an opportunity to acquire the wines through the integrated online store. 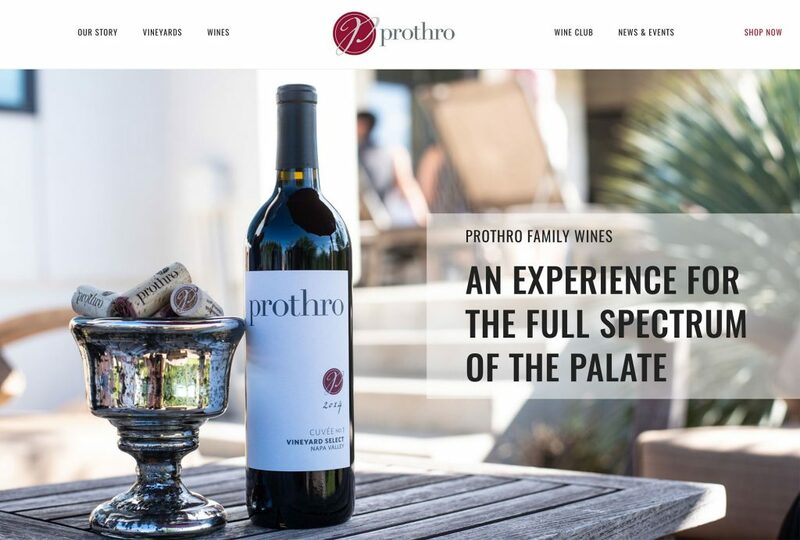 The website is built on WordPress and the online store is built with Vinespring. 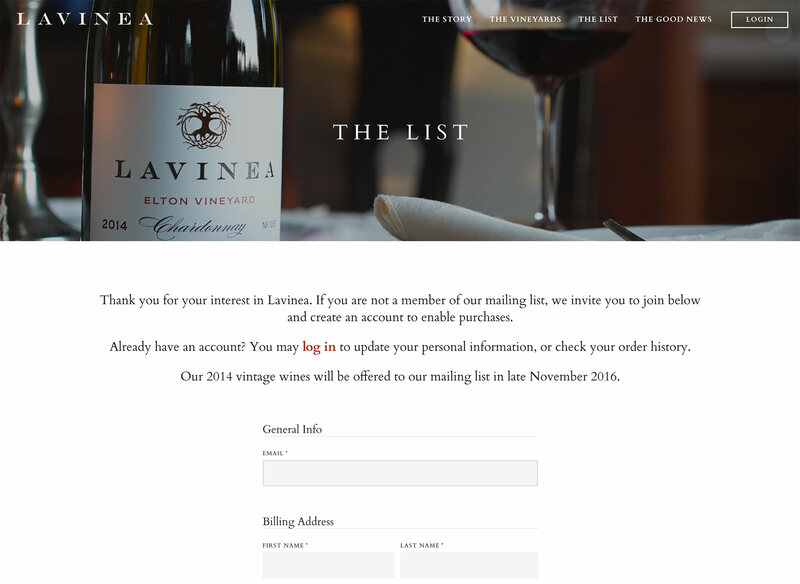 Lavinea’s wines are very sought-after, so the online store uses an allocation model and required login in order to access the store. 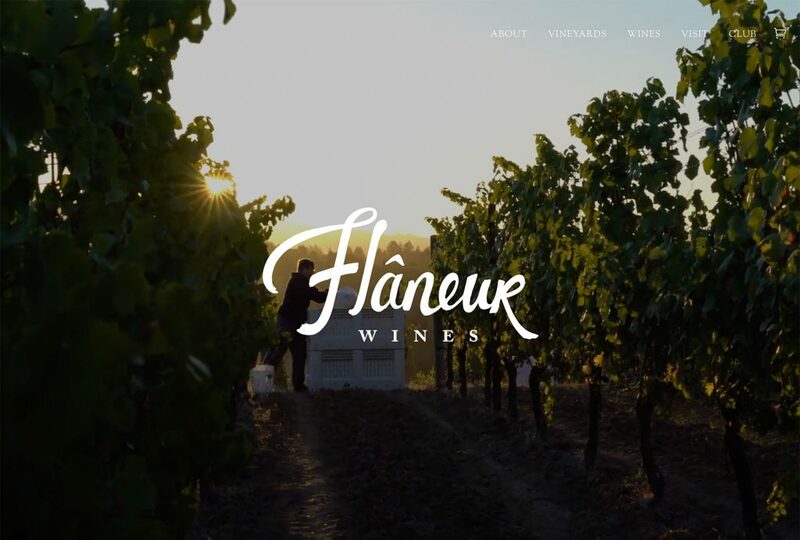 Lavinea needed a website platform that could show off their high quality images and also work seamlessly with an allocation-based ecommerce solution (Vinespring). 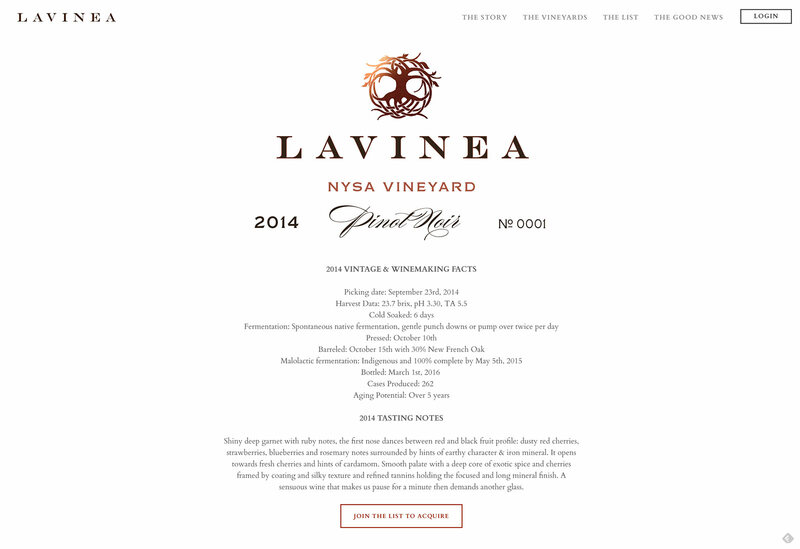 WordPress was the ideal solution for Lavinea. 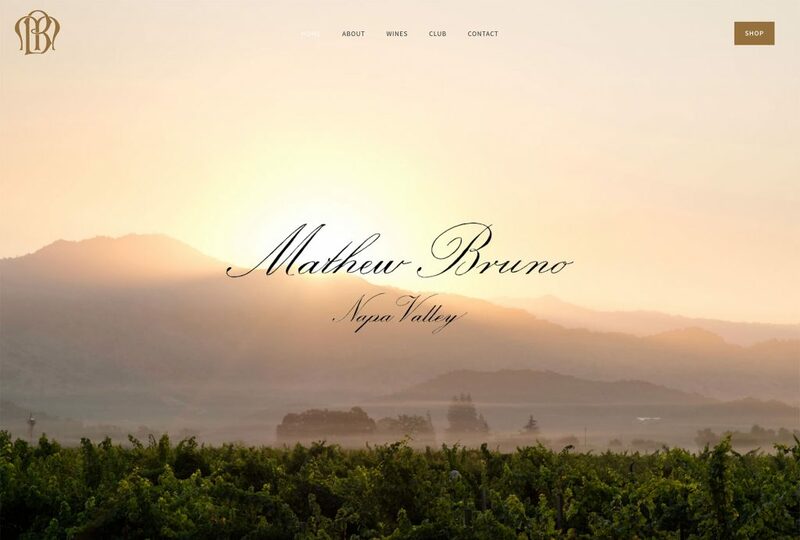 Vinespring is the online store / allocation system / wine club management solution that runs on the Lavinea website. 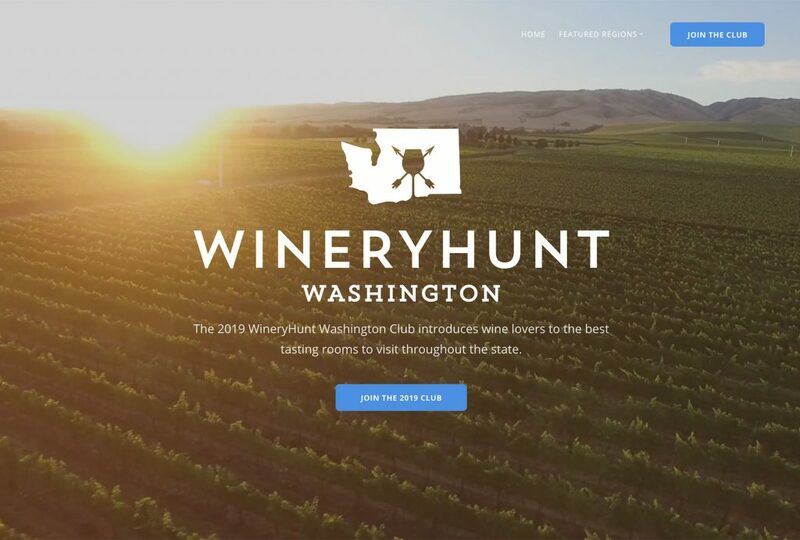 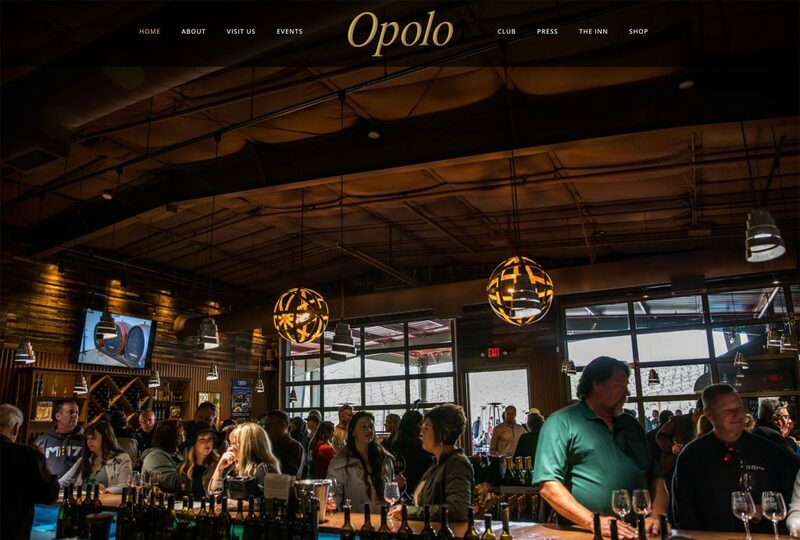 This is our recommended solution for wineries with an allocation-only business model.